This weekend, more than 100 sugarhouses statewide will open their doors to visitors for sweet, old-fashioned treats, including pancake breakfasts, sugar on snow and maple steam treatments. On Fletcher Road in Fairfax, Runamok Maple will host guests at its new bottling and processing plant. 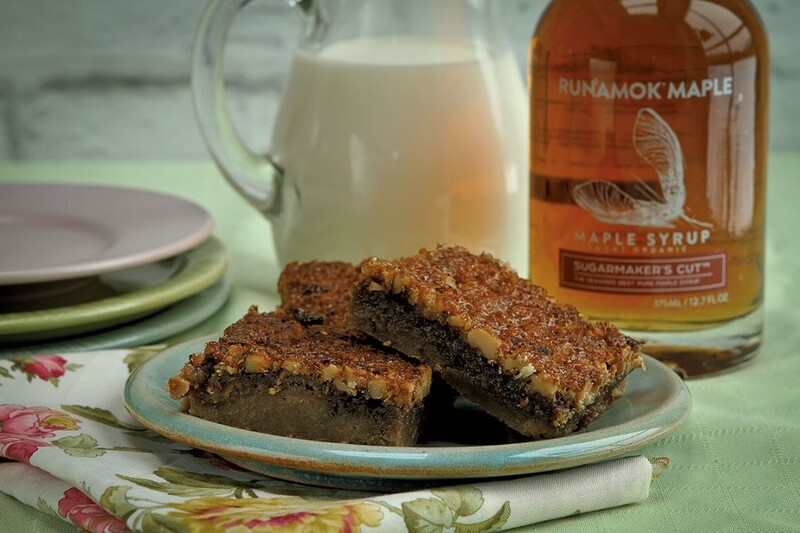 Sample beverages, desserts and savory plates made with Runamok's barrel-aged, infused, smoked and otherwise-altered syrups while getting an inside look at what a modern, envelope-pushing maple operation can look like. Maple Open House Weekend: Saturday, March 23 through Sunday, March 24, Runamok Maple processing plant, Fairfax. Free. Info, 849-7943, runamokmaple.com. Women's Film Festival Opening Night Gala: Chefs and bakers from the Four Columns Inn, Wild Flour Bakery, the Porch Café, Dosa Kitchen, and Cai's Dim Sum Teahouse and Catering, among others, put on a pre-film feast, then sit for a screening of The Heat: A Kitchen (R)evolution. Friday, March 22, 7-10 p.m., Women's Freedom Center at New England Youth Theatre, Brattleboro. $40. Info, 257-7364, womensfilmfestival.org. Mushroom Medicine: Over cups of wild mushroom chai, students learn about the ecology, ethical harvesting, processing, health benefits and cultivation of medicinal mushrooms including shiitake, chaga, reishi, lion's mane, maitake and turkey tail. Sunday, March 24, 10 a.m.-noon, Valhalla VT, Charlotte. $20, preregister. Info, mycoevolve.net/2019.html. Vermont Brewers Festival at Killington: Drinkers and skiers convene at the mountain to sample more than 100 brews, as well as eats from Worthy Burger, Bluebird Barbecue, Cornerstone Pub & Kitchen, Woodbelly Pizza and others. Sessions at noon and après-ski. Saturday, March 23, noon and 4 p.m., Killington Resort. $44-123. Info, vtbrewfest.com.